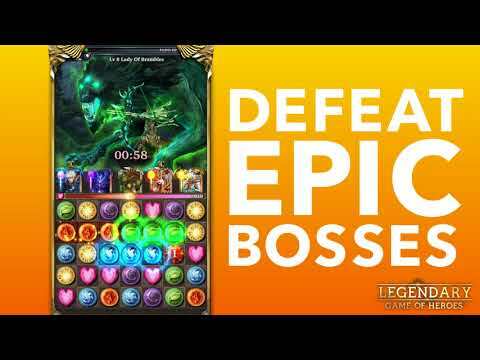 Legendary: Game of Heroes is the most captivating and interesting RPG puzzle adventure. Dive into the world of Korelis and assemble the ultimate team of legendary heroes. Go on a quest, fight, recover items and evolve in a very immersive RPG puzzle full of strategies. + Join a guild to participate in guild events, wake up your heroes and receive valuable gifts. + Get them all to unlock the secrets and stories of Korelis.